New Names.co.uk product takes the mystery out of choosing your advertising keywords on Google with Keyword ADV, an off-the-shelf product for quickly and easily increasing a companies’ presence online. Keyword ADV is available in a range of packages to ensure that businesses can implement a campaign of the size, reach and duration they want. The packages range from Entry (£139) to Platinum (£3,199) to suit virtually any business. Many businesses are put off by the seeming complexity of online advertising. With the launch of Keyword ADV, Names.co.uk are simplifying the process and enabling businesses of all sizes to reach a much wider audience. Names.co.uk, the internet services specialist, has today launched Keyword ADV, an off-the-shelf product for quickly and easily increasing a companies’ presence online. Keyword ADV enables businesses to get instant visibility in Google’s sponsored search results and includes access to Names.co.uk’s certified Google Qualified Individuals (GQI) who will advise on the best keywords to use. The GQIs will also develop and manage the campaigns to maximise Google-based advertising. These features and services, combined with guaranteed visits, makes Keyword ADV ideal for small and medium sized businesses. 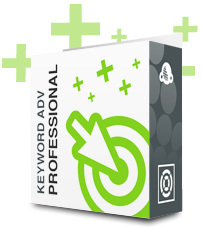 Keyword ADV is a fully featured service and includes up-to-date reports to ensure businesses can monitor the performance of campaigns and keywords. Importantly, the scalable pricing of Keyword ADV enables for easy budgeting with businesses only paying for the clicks received and not the number of ad views. Instant visibility: Text ads will appear in Google's sponsored search results when the relative keywords chosen for a site are searched for. Up-to-date reports: Businesses can stay updated on the progress of their campaigns with detailed monthly reports. They can check conversion rates and compare performances so that they know which keywords bring more visitors to their website. Campaign optimisation: Names.co.uk experts work with the business; to analyse their website in order to select a list of keywords that fit with their business, create text ads and set up the Google campaigns to maximise performance. All of Names.co.uk's SEM (Search Engine Marketing) specialists are certified Google Qualified Individuals. Easy budgeting: Businesses will only pay for the ad clicks they receive and not for the number of ad views. Keyword ADV comes with a pre-set number of clicks so it’s up to the business to choose how many clicks they want allowing for easy and control of budgets. Names.co.uk provides professional online services for businesses and individuals including Web Hosting, Domain Name Registration, Email services, Ecommerce solutions and Business Servers. Names.co.uk has over 15 years’ experience in the Internet industry and employs a team of nearly 200 expertly trained individuals across the UK. Names.co.uk is part of the Dada Group, an international group of companies who specialise in providing professional Internet services. As a group, they currently have over 1.7million domains registered and over 480,000 clients using their products and services. For more information please see http://www.Names.co.uk.